We are engaged in making available the finest FENZI Polysulphide Sealant to the length and breadth of the country. 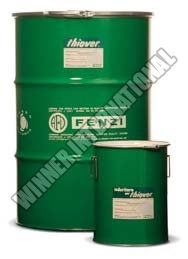 We are often called the best Supplier of FENZI Polysulphide Sealant. This two-part Polysulfide Sealant for Insulating Glass Units is all about perfection and performance. Its fabrication meets all the applicable quality standards. And prior to dispatch, it is passed through a comprehensive quality testing stage.